In February of 2013 the main editor of this website, Èlia, was in Armenia for the first time. Keep in mind that while this was just four years ago, trying to find out much about Armenian wine was incredibly difficult. Information was scattered and it seemed that there were a lot of stillborn cellar projects that would come out with wines one year and then vanish into the sands of time, never to be seen again. Nice place, pretty calm with some mellow guitarist playing. Not a lot of Armenian wines however but the owners are really enthusiastic and were happy to share what they have and explain things. No article appeared on this site as, at this moment in 2013, there wasn’t too much to talk about in terms of Armenian wine. This has of course changed massively and is why I’ve been running a series of articles on Armenian wine after being invited to tour the country. 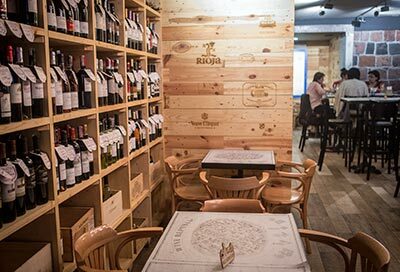 Not only has In Vino managed to stick around and flourish, it’s been joined by a handful of other wine bars that all seem to be located in the center of Yerevan. As a side note, Yerevan is one of the stranger capitals I’ve been to as everything within the central ring road is exceptionally new. There is nothing about the city to make it look like it lays claim to 2,800 years of history (except for random bits) and looks more like a city center you’d see in large Californian town, but I suppose that’s the point. The big difference from the Californian comparison is that it’s extremely compact and easy navigate on foot. Yerevan’s (and probably Armenia’s) first wine bar. The staff is incredibly friendly and knowledgeable about the wines they have and they make a good selection of what they believe to be the best wines in the country. Quite smartly, they’re not just a wine bar and you can buy all the bottles there as well for what seemed to be the going rate. It’s important to note that they’ve kept up with the increase in quality wines in the country and what was truly just one small shelf four years ago is now and entire corner of their establishment. The space itself has a myriad of seating options with a number of tables inside as well as a shared “bar” down the middle, which might have just been for my group to taste wines there. Outside, there are a number of tables as well which I assume have heating as, given the altitude, Yerevan gets nippy in the winter. I love the fact that they’ve kept up with the times and stay current about what’s what in wine. Ah, one last thing is that they don’t officially have food but you can place an order for various dishes that are filled by the restaurant next door which is a small plate “tapas” kind of affair. They started in Summer 2015 and aren’t located that far away from In Vino which is in this neighborhood by the “Cascade” that it seems everyone in Yerevan strolls to on the weekends. Thus, a smart place to have a nice wine bar. Wine Republic definitely has a more polished look than In Vino which verges on boho, but I have to say that I like the vibe at In Vino a bit better. It seems that Wine Republic might be more popular with locals however and I have to assume this is due to their having a larger inventory of international wines and it seeming more like a place to be seen, especially with the larger outdoor seating area. While they only have 10% of their wines from Armenia, I think there is indeed a place for this as countries where the people don’t have access to wines outside their borders often end up drunk on the belief that their wines are the best [cough]France[/cough]. I can’t fully remember, but I feel that their prices were a bit higher than In Vino as well although they have a full kitchen so the food offer is a great deal more generous. Given the scant few days I was in Yerevan, it made it tricky to scout out additional places. 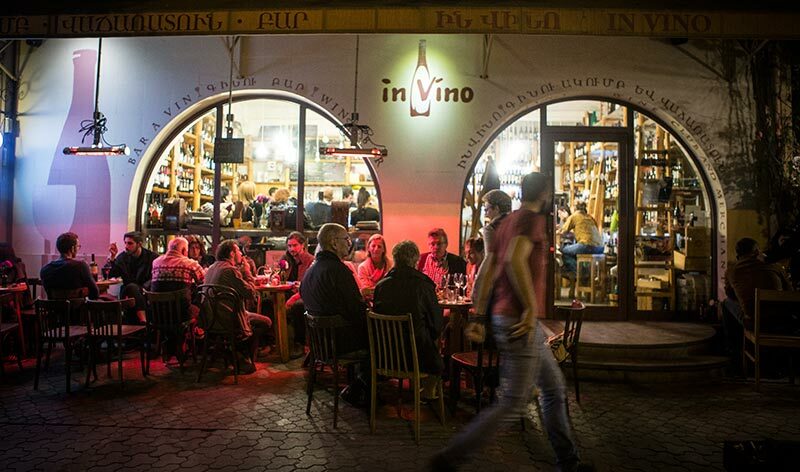 Aperitivo Yerevan, Divino, The Wine House, Enoteca, & Vino del Nord all pop up as worthy of a go and see if you happen to have more time in the city than I did. Feel free to leave comments below if you any feedback. Regardless, this is one of those moments where it’s quite invigorating to see so much upward and sustainable movement in the wine sector. One can only hope that it will continue onward as well as it has started. Thanks! It’s been added. When searching around there, it looked more like a restaurant than wine bar based upon photos and such but I guess it’s a proper wine bar. What about Voskevaz Wine Time restaurant at Saryan street? I haven’t personally been to it but also, it seems to be a wine bar just for the winery Voskevaz, no? I usually don’t add such places to lists as it’s not like the other wine bars. Yes, they sell only Voskevaz from Armenian wines. But they also have a big range of European, American, Sout American wines. I could not find Vino del Nord and Divino in Yerevan. It seems that these are closed as they were other establishments at their addresses. The only real wine bar I found was the In Vino. The rest were either good full bar restaurants that pay more attention to wine (Aperitivo, Wine Republic, The Wine House, Tapastan, Voskevaz) or bars that serve wine along with other alcohol and/or beer, hookah, etc. (Enoteca, and many others). Unfortunately, out of all wine bars that opened, none but In Vino stuck with wine only.